The commemoration yesterday featured a number of pastors who participated in the event. Pastor Amosa Rupena was among them and for him and his family of Vailele, the Vaimoso burial ground holds a special place in their hearts. A photo exhibition displayed photos, documents and written statements by statements by relatives of the deceased, who lost their lives in the 1918 Influenza Epidemic. 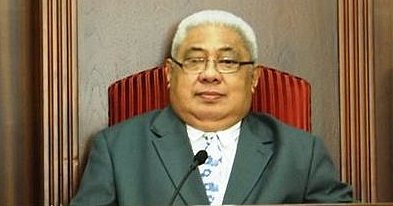 According to the photo description, Talitua Samoa Liuteine was a son of Vailele Village and the youngest son of paramount chief, Samoa Liuteine Savaiinaea Samoa. 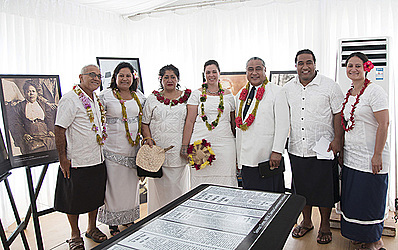 The family story had been witnessed by his daughters: Fusi Amosa Matalavaea, who was the wife of the Falepuna LMS Church Minister, Aunoa Uaele who was the wife of the Falefa LMS Church Minister and Galoiola Talitua Samoa Liuteine Salamasina, the wife of Salamasina from Luataunuu. Talitua’s only son Aloniu Misa Talitua II still has children and great grand children living in Fusi up to today. Pastor Amosa held back tears as he told the Samoa Observer of how he was moved by yesterday’s commemoration program. Fusi Amosa Matalavaea and Galoiola Talitua Samoa Liuteine Salamasina are Pastor Amosa’s great aunties. “Not only highlighting today the commemoration of what had happened in the past, but it is also an opportunity for us to realize God’s work, even when there was an epidemic. There were a lot of people who had died but there were more that survived,” he said. 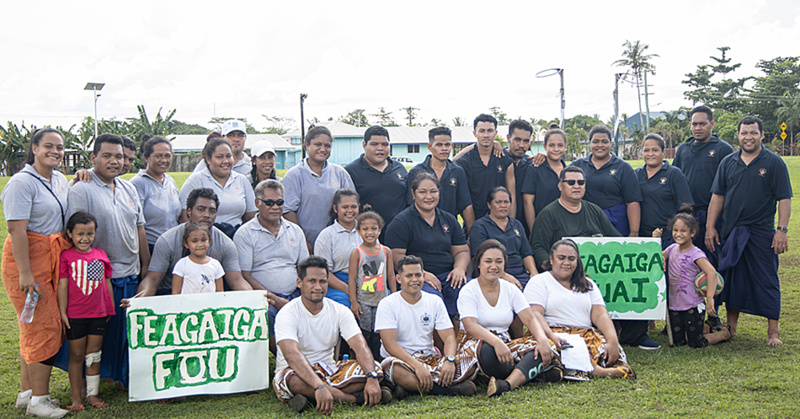 Although, the tragedy that was commemorated yesterday occurred 100 years ago, Pastor Amosa said the nation recognised Samoa’s loss to the epidemic, and what could have been avoided had authorities taken the necessary steps to ensure the safety of the people. “Nevertheless God is still looking after us and so we must forgive and move forward,” he added.